The GMS framing systems are substantially manufactured under licence for GMS within Australia or New Zealand. 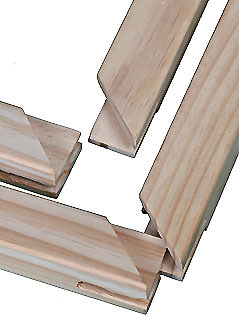 Long stretcher bars are the backbone of the canvas printing industry and these are made in Australia from Australian regrowth Aru Karia wood. Aru Karia is a type of Australian pine that’s denser and warps far less than common radiata. These InkjetPro bars are made in varying profiles with rounded top and bottom edges to avoid cracking with inkjet canvas. Our premade range of bars slot together easily and are available in sizes from 8 inch to over 1.5 metres. Unlike so many Asian imports that are made for painting, these bars have the same rounded edged profile as our long length bars. GMS manufactures many types of do it yourself (DIY) framing systems. 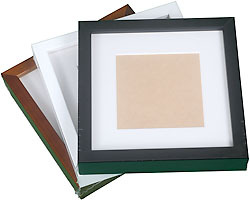 These include the InkjetPro iBlock and Acrylic Frame mount systems. The iBlock system is of particular importance as it allows mounting of canvas or a photograph in under 5 minutes without stretching. When compared to other systems, the iBlocks are faster to use, sit on either a wall or desk and can be fitted with metallic print media that gives an apparent depth. 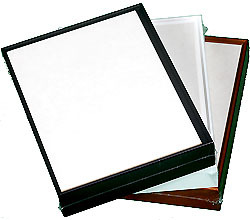 Media can be encased in Acrylic Frames, which are also manufactured and distributed by GMS. 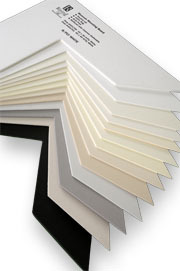 The InkjetPro Acrylic Frame system doesn’t cut corners by using single sheet face glued acrylics - a method that is not warranted by any supplier of inkjet media. The InkjetPro Acrylic Frame system sandwiches the media between acrylic sheets allowing the image to be changed without damage to the media. GMS also imports and distributes Rising Matt Boards. These boards are available in Museum Rag or Conservation Paper and represent the very best presentation media for 100% cotton rag archival inkjet images.